Have you ever faced a problem in your life? In school, college, with your significant other, or at work. The truth is the mostly everyone experiences problems on a daily basis whether it is traffic, homework, communication with a loved one or a task at work. Problems are all around you but having a problem is not necessarily a bad thing. Problem is a valuable skill that you learn to overcome as part of your life. Problems challenge you and force you to think, to try something different, to understand, and most of all to be competitive with others. If it weren’t for problems, life wouldn’t be exciting! Would you rather live a monotonous life that is predictable and no problems ever come your way? Or a life that has ups and downs filled with problems that allows you to grow? Now rewind your life just a bit. When you were a baby, you learned to read, to write and to walk. Was it easy? …….Probably not. It must have been challenging for you because you were trying something different. Now forward a bit to the first time you learned how to drive. Was that easy? ……Probably not. But it allowed you to grow that’s why you are a safe driver today (well, I hope so). Now think about a subject that you struggle with the most at school. Math, Chemistry, Physics, Writing. Whatever it is for you. I know you hate it. It is so problematic. You don’t want to think about it. It puts you in a bad mood. You are feeling stressed out just by thinking about it. Relax, think of it as a problem. A problem that you can tackle. A problem that requires you to think, to compete, to understand and to try learning something different. At this point, you must have noticed that problem has become something concrete for you. Something you know a lot about, something that I made you act upon. Moreover, value that problems allowed you to grow as an individual. You learned many things by dealing with problems on an academic level such as working under time pressure, meeting deadlines for assignment, and staying organized in classes. As a student, problems challenge you to develop better study skills and other skills needed to work in the future. Embrace problems and your growth from it. If you have a problem we are ready to rescue. For help with any classes please feel free to give us a call or text at 773-386-3184 to Phoenix Tutoring & Test Prep. 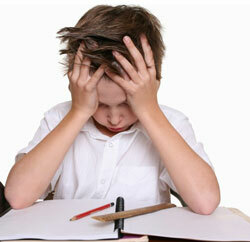 We provide one-on-one tutoring for all major subjects in the Phoenix Metropolitan Area. You can also visit www.phxtutoring.com for more information.